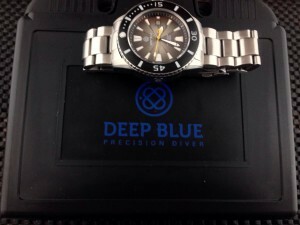 I’m very glad to be able to review this new model from Deep Blue. The Master Explorer Diver 1000, as they call it, is a great dive watch for under $500, and one that I am really impressed with.Coming in at 45mm wide and 16mm thick, the Master Explorer 1000 is not a small watch, but not too large to be cumbersome. 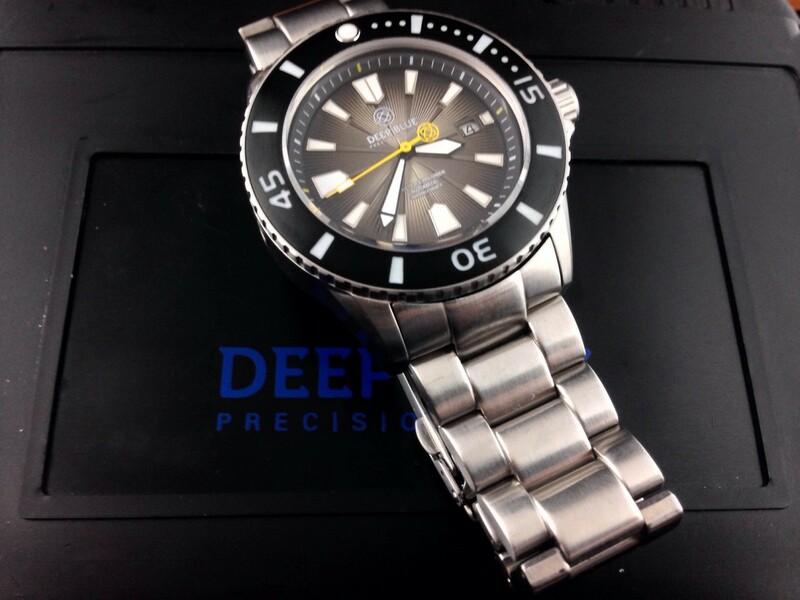 The Master Explorer 1000 wears flat against the wrist, making it a very comfortable fit. First, lets take a look at the packaging. Deep Blue uses a pelican style plastic briefcase for safe shipping and presentation. 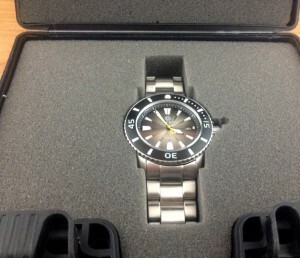 Inside, the pelican case has foam inserts that are perfectly cutout for the watch, providing a safe and secure housing. The case, as I noted is 45mm wide, 16mm thick, with a 24mm lug measurement. 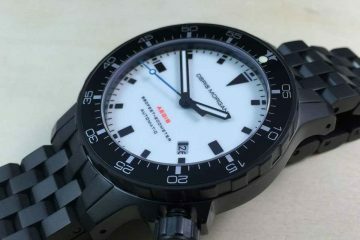 It has a lug to lug length of 51mm. 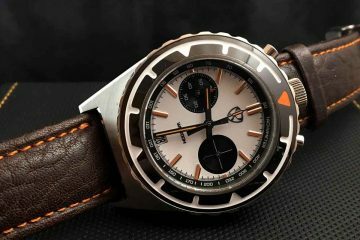 The proportions for this style of this watch are perfect in my opinion. 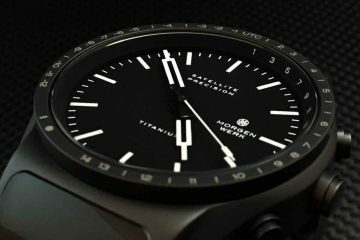 It is a dive watch that will stand out on the wrist, but not so much that people will gawk at you as you walk down the street. The lug length makes it sit comfortably on the wrist and should look great on most wrist sizes. 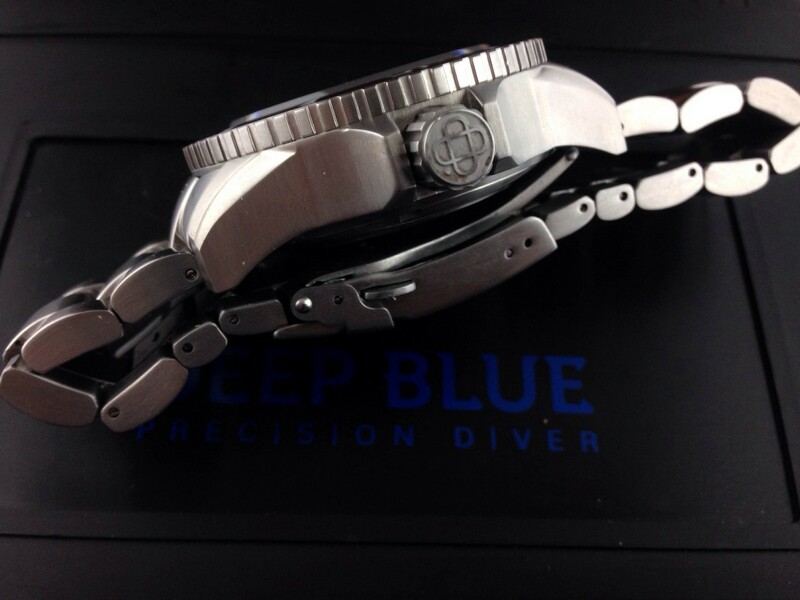 The large knurled crown is easy to grasp and manipulate, and also has the Deep Blue logo very nicely engraved into it. On the other side of the case, you have the helium release valve. If you look closely, you will see the DB logo etched into the middle of the valve. This adds a nice touch in my opinion. This is something I don’t remember seeing on other brands, and I thought it was unique. The 120 click, unidirectional, bezel is very precise and has a great clicking action. It is a black coated, stainless bezel, which has inset lume markers and numbers. Now, while most will never use the lumed bezel feature and it certainly doesn’t help tell the time in the dark, it sure makes for some great lume shots. Great review. What’s the crystal diameter? Do you think I can pull it off with my 6.5″ wrists?